The Gamm wraps up Season 34 (and the first year in their new space in Warwick) with Sam Shepard’s gritty (is there any other way to describe Shepard?) True West. Alternately hilarious and horrifying, Shepard’s script is a study in toxic masculinity — this is Cain and Abel through the lens of modern-day America. Lest anyone be turned off by what sounds like a bro-fest, director Tony Estrella has collected a cast that is more than up to the subtle challenges of roles that have come to be associated with some of the premier male actors of our time. Steve Kidd (recently seen as Astrov in Uncle Vanya) and Anthony Goes, who turned heads as Stanley in A Streetcar Named Desire, play the feuding brothers whose delicate relationship combusts in a frenzy of male angst, petty burglary, compasses and … screenwriting. In this story of the estranged brothers, Austin and Lee, Shepard gives us a brutal, yet naturalistic dark comedy. Loosely tied to some of his other work, True West stands alone as a play that seems deceptively simple but unravels over time, providing all of the ingredients for sublime performance opportunities. It is that very opportunity that should draw audiences to True West, and we’ll see if Kidd and Goes are up to the challenge. Also featuring Richard Donelly (another Gamm favorite) and the estimable Rae Mancini (whose recent performance in WomensWork My Left Breast was a standout), the Gamm has upped the odds for what promises to be a stunning season closer. 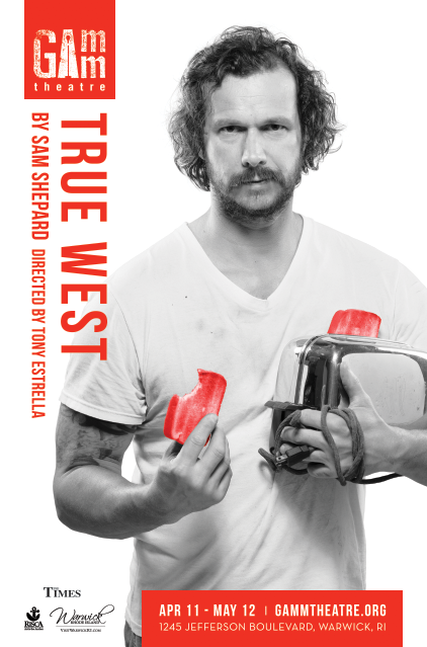 Sam Shepard’s True West, directed by Tony Estrella runs Apr 11 – May 5 at The Gamm Theatre, 1245 Jefferson Blvd, Warwick. 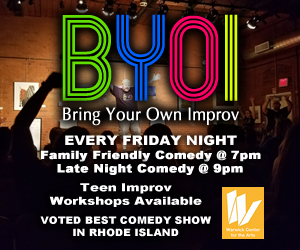 For tickets, call 401-723-4266 or order at gammtheatre.org.